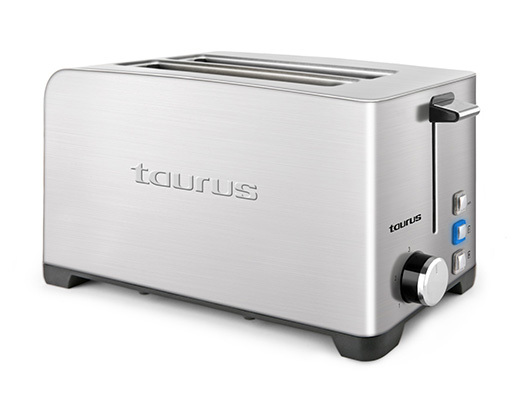 Home Products Taurus Toaster 4 Slice Stainless Steel Brushed 5 Heat Settings 1400W "My Toast Duplo Legend"
Taurus Toaster 4 Slice Stainless Steel Brushed 5 Heat Settings 1400W "My Toast Duplo Legend"
Taurus presents the Mytoast Double Legend. Golden and crisp toast has never been this easy. The Stainless steel toaster has two extra-wide slots and 5 variable browning settings.